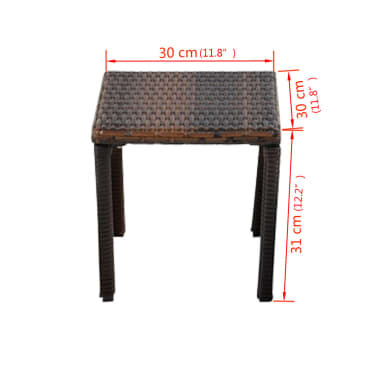 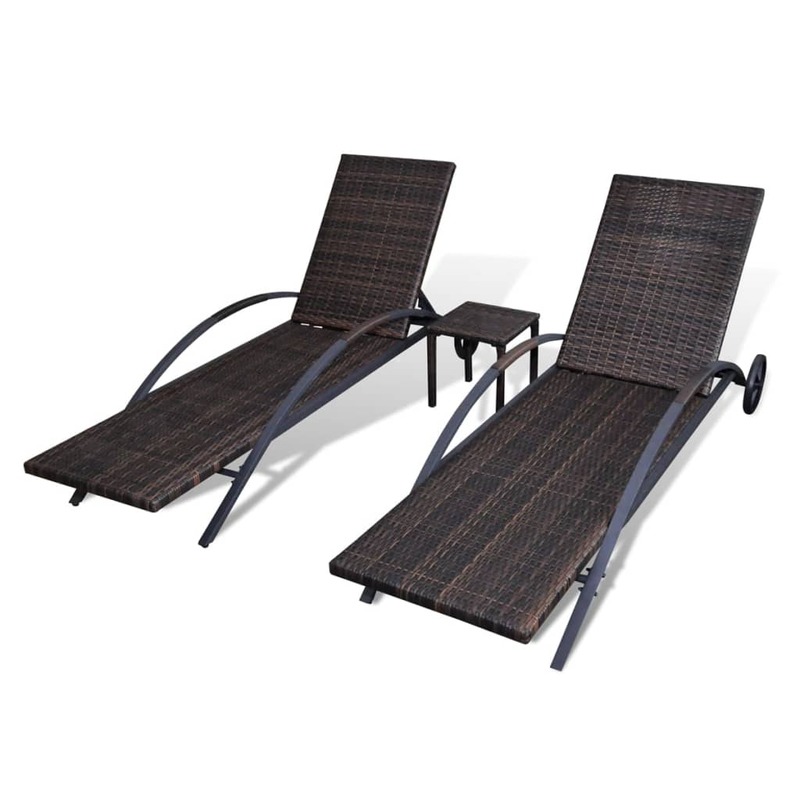 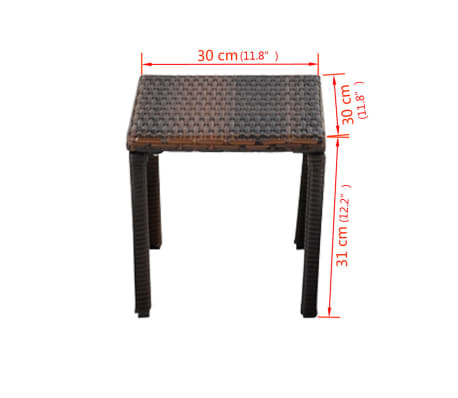 Backrest height from the ground when fully raised: 32.7"
Seat height from the ground: 10.2"
This rattan sun lounger set, consisting of two sun loungers and one table, combines style and functionality, and will become the focal point of your garden or patio. 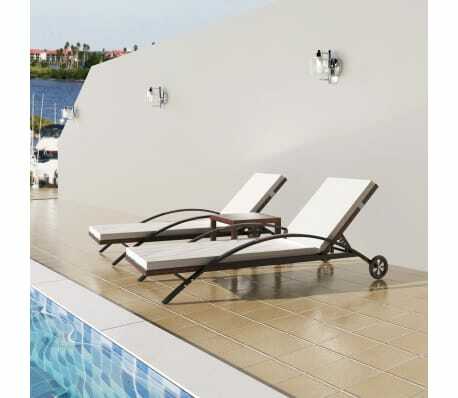 Thanks to the weather-resistant and waterproof PE rattan, the sun lounger set is easy to clean, hard-wearing and suitable for daily use. 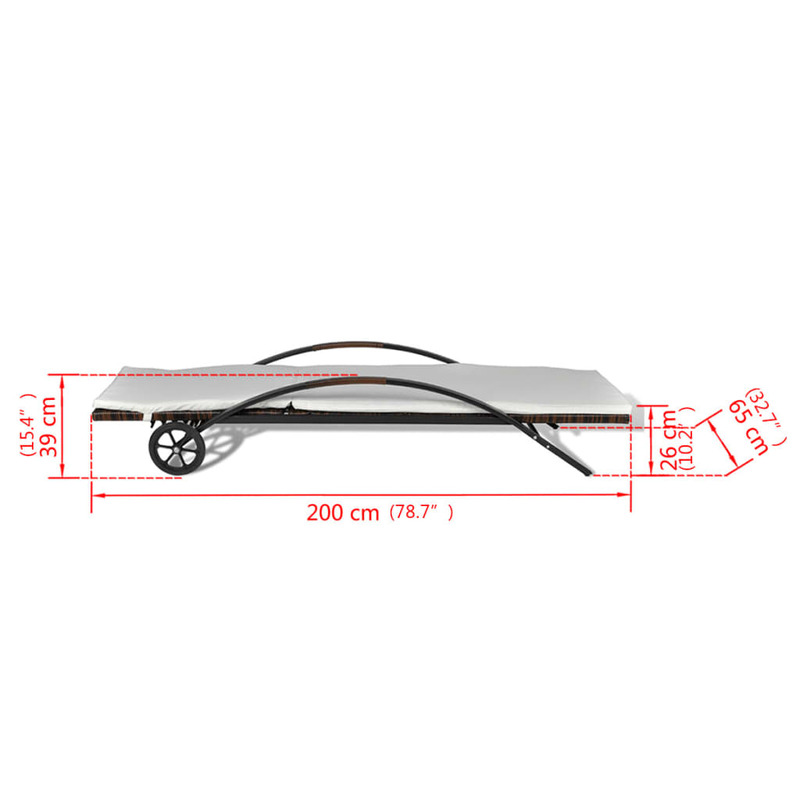 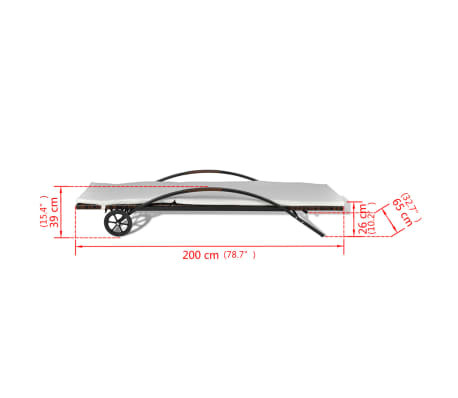 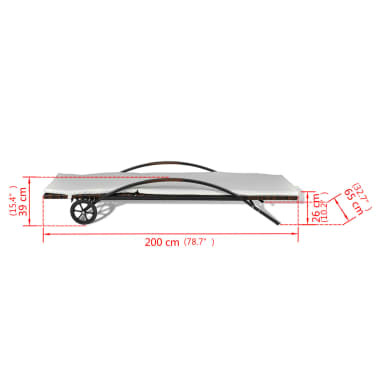 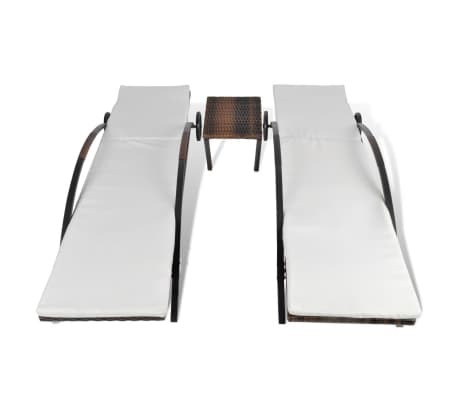 The lounge beds and table feature a sturdy powder-coated steel frame, making them very stable and durable. 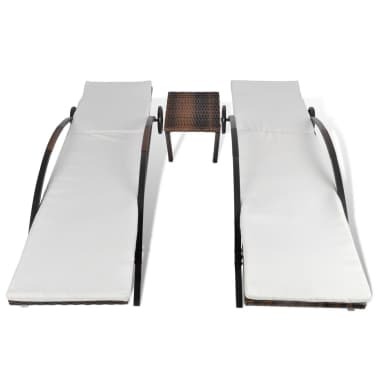 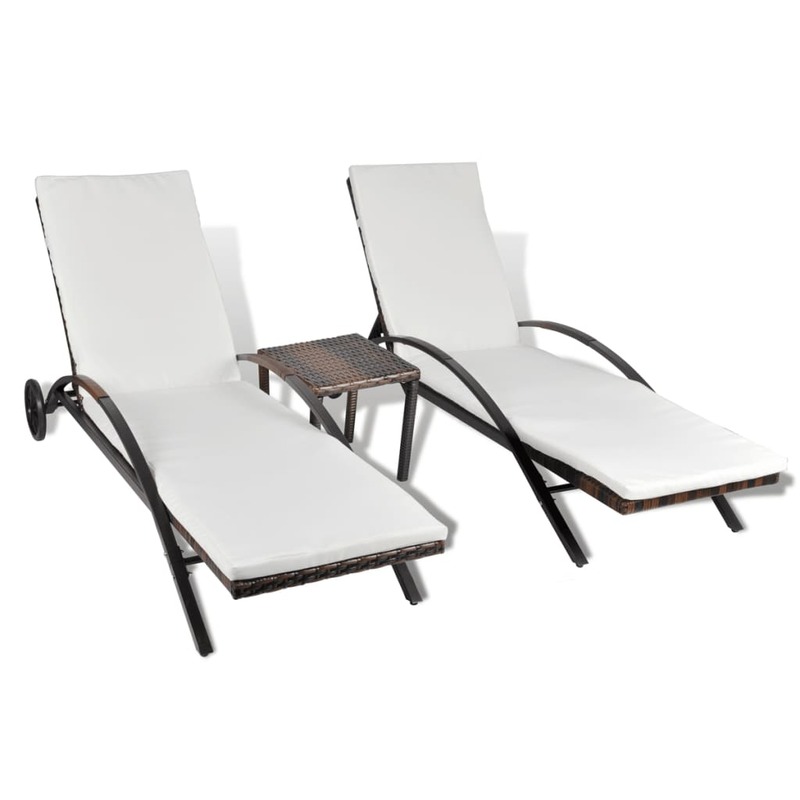 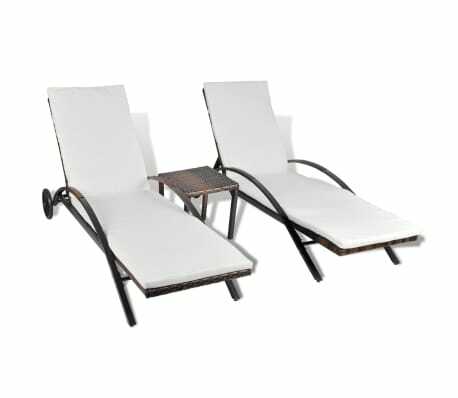 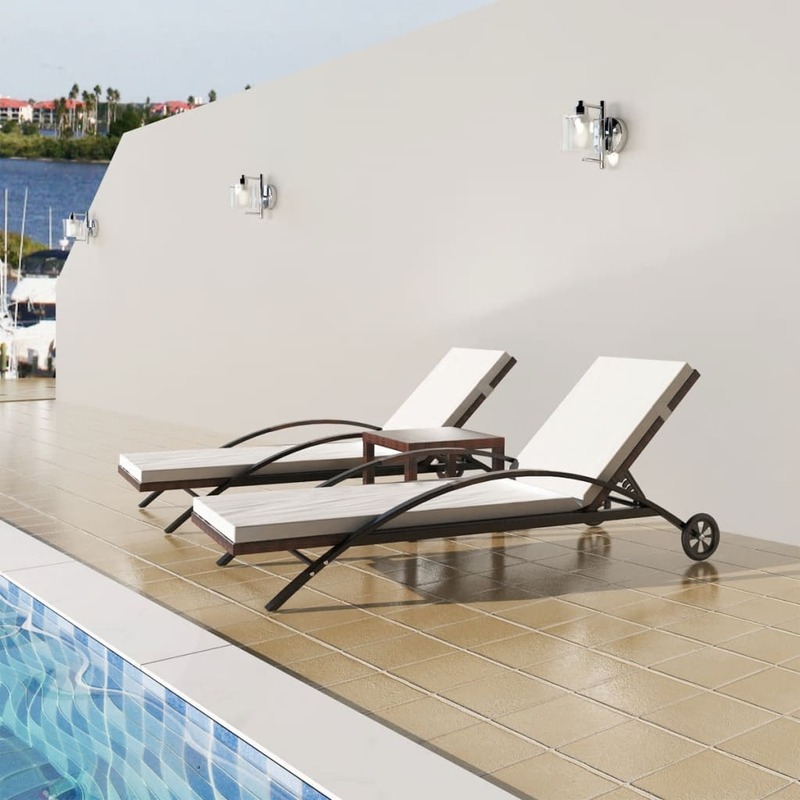 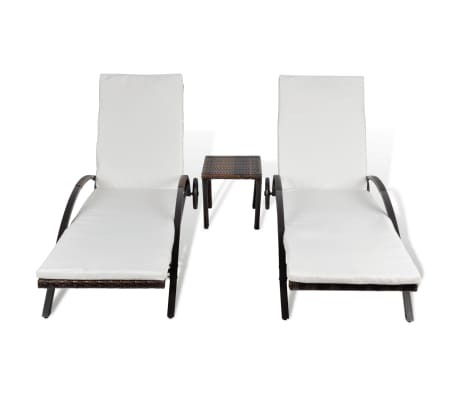 The backrests of the sun loungers can be adjusted for the most comfortable position. 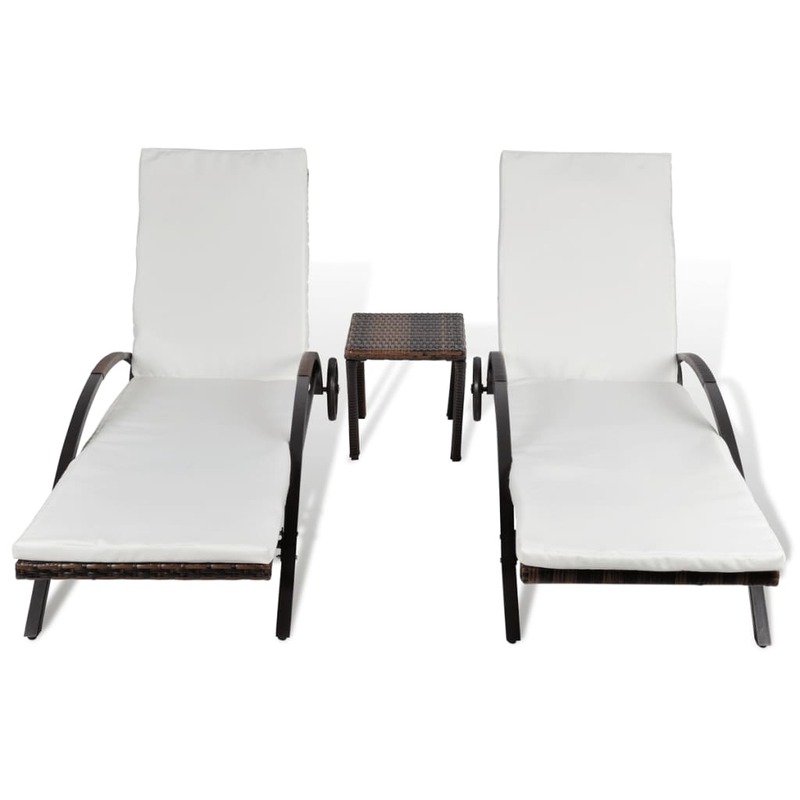 The thick, removable cushions add to their seating and lying comfort. The cushion covers can be easily removed and washed. 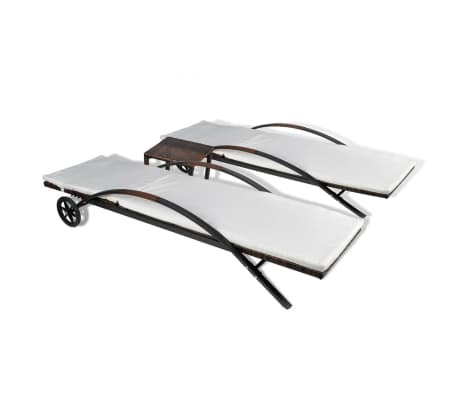 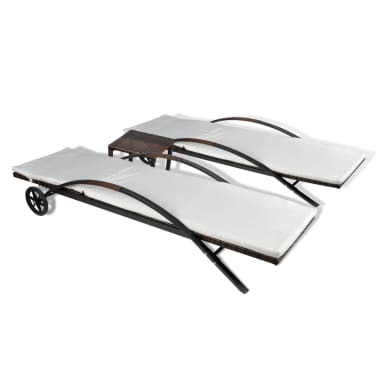 Thanks to the wheels, the sun beds are easy to move around. 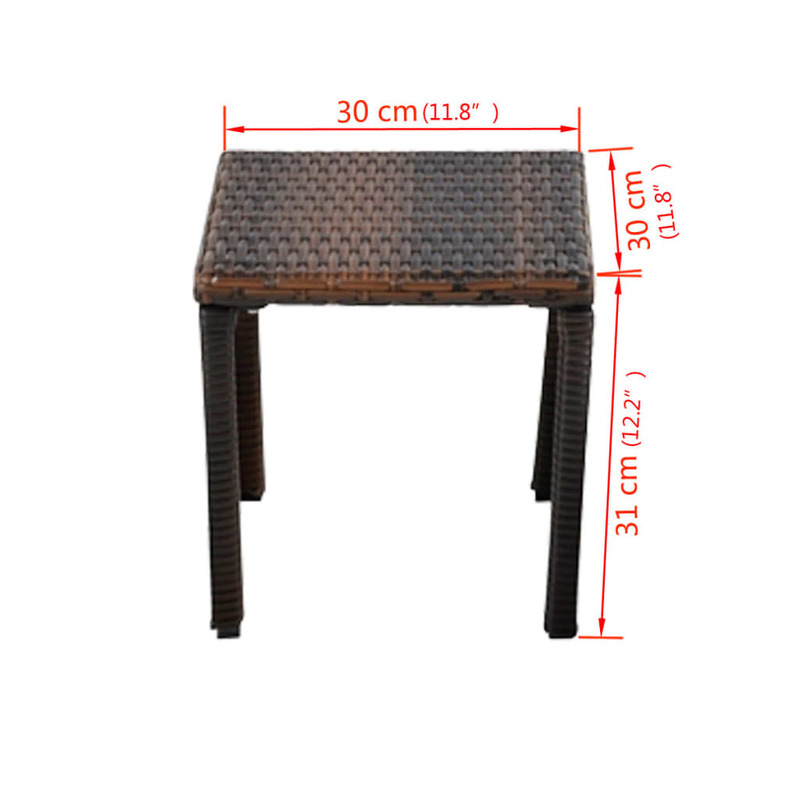 You can keep your drinks, phones, books or other small items within reach on the sturdy square table. 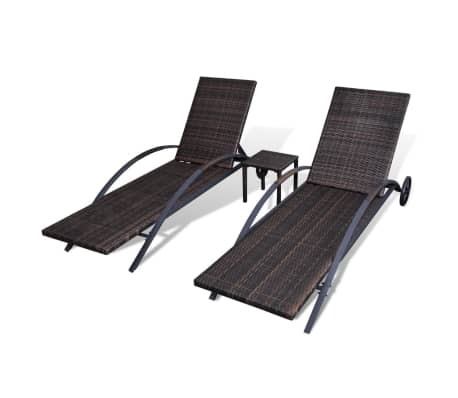 Delivery includes 2 sun loungers and 1 table.